Minimalist and resistant, Nimba's bag will follow you around. NIMBA bag is divided in three parts which is the perfect way for organizing and carrying your tools. Made from our bull full-grain leather vegetabled tanned « Niagara », NIMBA is perfectly watertight and robust. Furthermore, its strap allows a huge adaptability by the copper rivets. 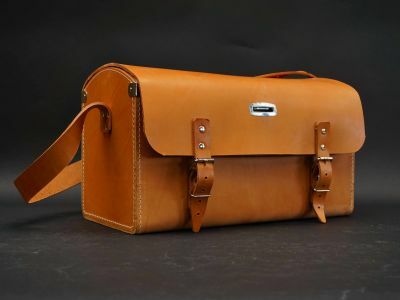 It's the ultimate professional briefcase in its simplest and without "gadget". Available in 3 different sizes, this case meets all your needs by its watertightness, its suppleness and its robustness. 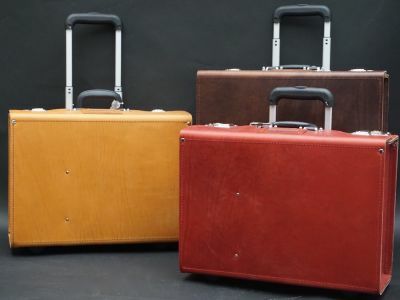 Natural bull and full grain leather case, it is realized in 3 pieces of leather. Corner seams combined with riveted leather reinforcements give it great resistance. The adjustable strap, made in the same leather is attached by copper rivets. This case in natural tint is made with Savica, and with Niagara For all other tints. Compact and rigid, this briefcase will be the perfect companion of your small tool, easily transportable, its large opening allows direct access to your essential tools. A unique piece of leather is the front, bottom, back and top, ensuring waterlightness and robustness. The upper edges are reinforced with steel, the bottom and sides are stiffened. The interior consists of 4 straps diameter for your tools, 2 lateral straps and a soft pocket. The handle, hand sewn in the same leather will also skate over time. THERON Briefcase has been developed to answer bus driver daily needs and constraints. Made from 2 layers of leather reinforced, it was built to support heavy weight. The upper side is made from 2 layers guarantying watertightness and easy access. 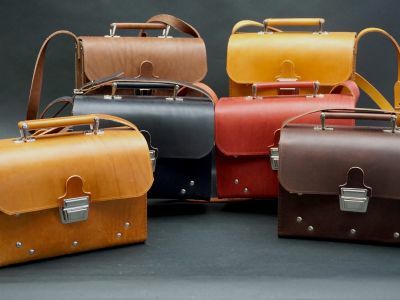 This briefcase is the result of a long and beautiful collaboration with our partner TEC. With its compact size and large opening, this briefcase facilitates your access to bulky tools. 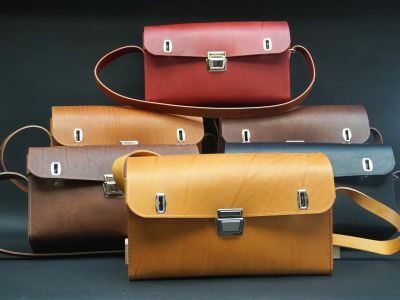 Made from a single piece of leather assuring its watertightness, the sides and bottom have been stiffened, glued, sewn and reinforced with riveted steel corners. The underside rests on 3 riveted leather feet protecting the bottom of liquids and abrasive products. Manufactured in full-grain vegetal leather, the marks and projections will diminish over time to offer a natural leather patina. 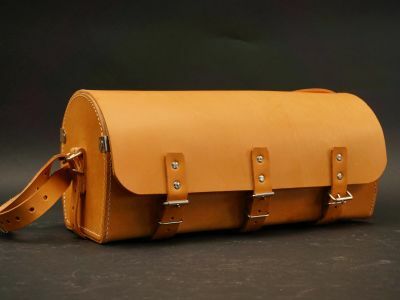 This big size briefcase gathered the main know-how of RADERMECKER® production: Corner sewing, riveted reinforcement and adjustable full grain strap. The casing made from 1 master leather piece show the bull wrinkles. 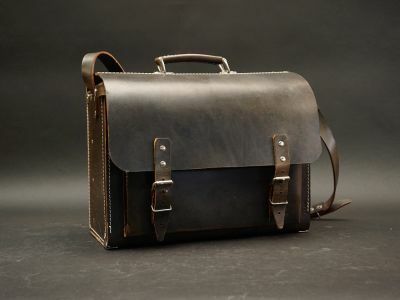 Over the time, the Baker Briefcase will get patina and show use marks never being weakened. Originally made for electrician, the Stanley briefcase is today appreciated for our customers who wants to organize and carry a lot of tools in one briefcase. 2 movable leather plate allow an easy access to the tools. Its design, robustness and natural aspect are appreciated by the users. The Colima bag is a RADERMECKER® heritage bag, initially developed to be easily carried with a quick access to the inside. Its adjustable strap can be fixed on the side or on the back of the bag. The closing can be with strap of tic tuc locks. 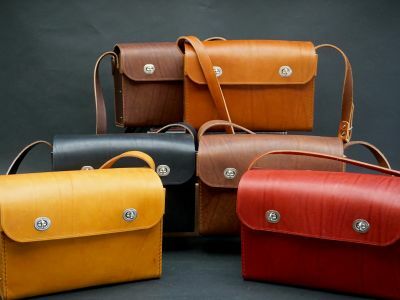 The bag is made from our vegetable tanned leather, resisting to outside environment. Like all our briefcases, this one is composed of a large piece of leather ensuring the watertightness and the robustness of the whole. The upper corners are reinforced with steel to ensure a long service life. The 3 bellows and 2 front pockets make storage easy. An adjustable strap allows the bag to be carried over the shoulder. 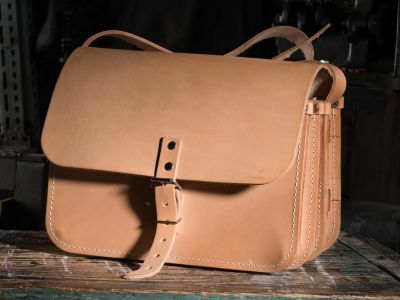 Use and time will bring to this bag its character and its patina. 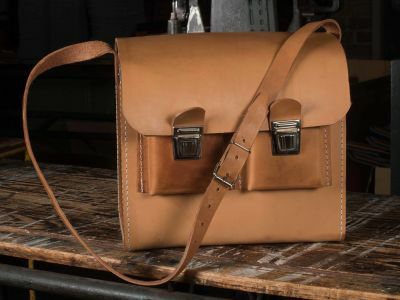 Briefcase made from natural leather hand-fed with riveted finish.